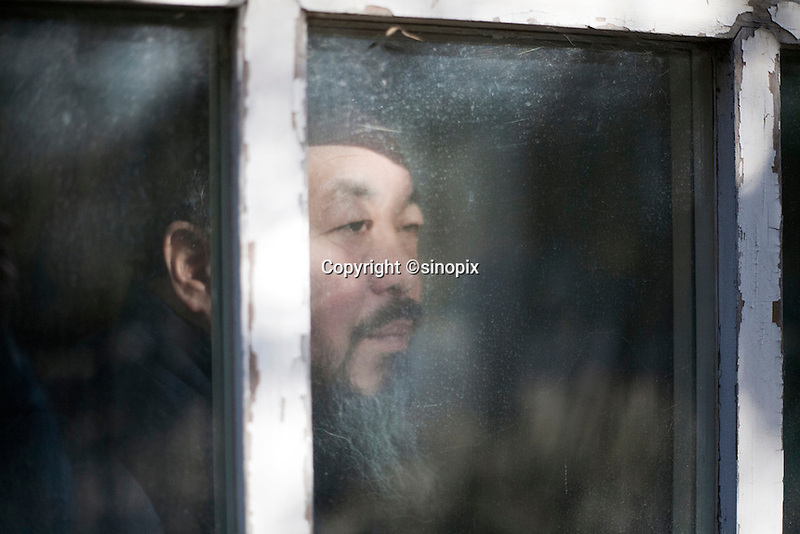 Ai Weiwei photographed in his Beijing studio after the forced demolition of his Shanghai studio by the Chinese government, Beijing, China. Ai Weiwei is a Chinese artist and activist. He intensively uses the internet to communicate with people all over China. On 3 April 2011, police detained him at Beijing airport, his studio in the capital was sealed off, and his staff interrogated pursuant to offical allegations of 'economic crimes'.